With a unique pace and logic, the text provides a desirable space in which to consider any number of interesting ideas about solitude and connection. Inspired by Blaise Pascal, a 17th-century philosopher best known for his posthumous book, Pensées (Thoughts), Thomas Fuller has written an accessible, experimental novel in a philosophical vein, incorporating a similarly fragmented form, and much of the sensibility that characterizes Pensées. 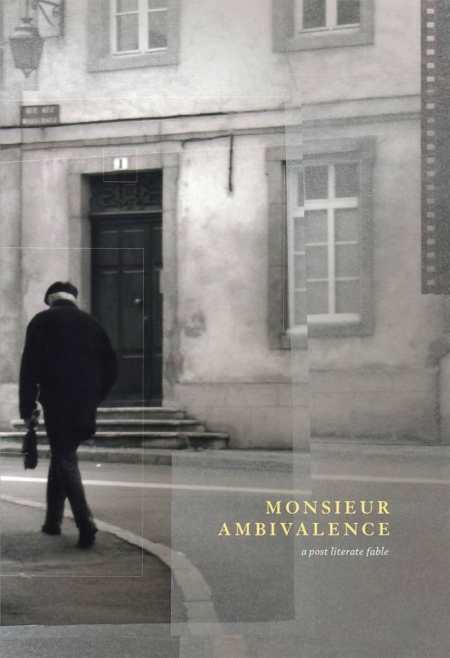 At the heart of Monsieur Ambivalence is Blaise Pascal’s assertion that the source of all human unhappiness can be traced to the fact that man cannot sit quietly in a room alone. With this in mind, the protagonist of our story travels with his girlfriend to a small village in France to live and attempt to sit alone in a room for an hour. Pascal’s book is his only literary companion on this journey, and the novel traces his the protagonist’s engagement with many of the ideas therein. In the poetic, meandering prose that arises from this project, our narrator grapples with doubt, walks around the French countryside, observes the locals, naps, writes in a yellow notebook, meditates in churches, visits graveyards, avoids learning French, passes the time until he can open a bottle of wine, and converses with Helena, who “shows me things I’ve never seen” while he shows her his “seeing.” Instead of being pure distraction, each of these occupations serves as an organic opportunity for reflection and insight and is therefore a fine vehicle for the sometimes weighty ideas that anchor Fuller’s text. In some ways, this book reads like a personal travelogue, set as it is in France and told through the eyes of an American abroad. The real setting, however, is one man’s mind as mediated by Pascal’s ideas, lending shape and heft as well as layers of meaning. Also included in the book are plentiful black-and=white photographs depicting many of the scenes in the story.